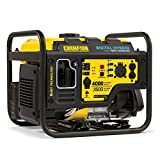 The Champion 4000 watt generator is your best assistant at work, at home, and even at a campsite to provide you with portable, dependable and ample power. This inverter generator has the capacity to power your refrigerator, sump pump, lighting, television, and most other appliances simultaneously. 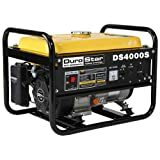 All you need to do is pull the starter or push its start button to begin the generator and to have it start supplying electricity. The motor can also be activated by simply pressing its remote button at a distance of up to 80 feet away. The Champion inverter generator does require some assembly once removed from the box. The assembly takes only about half an hour after which the generator is ready to function efficiently. First, it is the wheels and handle that are need to be set up after which the battery needs to be installed and the gas and oil tanks filled. Batteries will also need to be put into the remote control so you can conveniently turn the power supply on or off even when away from the generator. Once all this is done, your generator is ready to go. With a one-end load of 50 percent, you can witness a surprising full-blown power supply for as long as 12 continuous hours. The digital readout feature built into its mechanism enables you to monitor the generator by knowing the frequency of its cycles and output voltage. The last thing you would want in your generator when camping at a quiet location is a lot of constant, unpleasant, and unnecessary noise. The advanced Champion 4000 watt generator takes care of this. 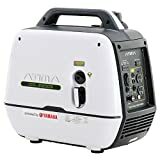 When using this inverter generator, you can rest assured to enjoy complete peace of mind when the lights are out or when you are engrossed in the soothing sounds of nature. With such tranquillity guaranteed, you are sure to forget that you had been carrying a high voltage generator along with you all this while. Although the Champion inverter generator is heavy, this should not be a reason for you to dismiss it. 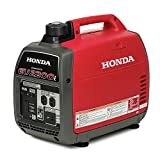 The portability of this generator is not affected at all by its weight because it’s smooth wheels at the bottom enable free and easy movement. In addition, the dimensions (20.5-inch height x 20.3-inch width x 28.5-inch length) are such that it does not end up eating up too much space in your home, workplace, or campsite. This is precisely why the Champion 4000 watt generator makes for an ideal power tool anywhere and anytime. At home, you can use it for your air-conditioner, television, laptop, and several other electronic appliances without worrying about the voltage required to run these simultaneously. Use it to stay cool in summers and warm in winters even when the power goes off. At the workplace, you can use it to ensure a continuous supply of power to all machinery even during unpredictable power failures. Similar functions can be accomplished when traveling to places unknown.